These boys love their Legos! Max (age 6) and Logan (age 4) recently participated in our Craft Fair fundraiser where they sold their hand crafted Lego picture frames to shoppers and all their proceeds went to helping The Honeycomb Project. The Cahill Family fundraised for Honeycomb because they believe in the mission and want their boys to grow up engaged and active in their communities. “I love having a partner in teaching my children empathy, kindness and the importance of helping others,” says mom, Amy. “They love to be creative through arts and crafts and are were so excited to sell their Lego picture frames and hand soaps at the Craft Fair…Max was excited to ‘run his own business’ with things he created himself and Logan enjoys anything involving Legos and crafts,” expressed Amy. Outside of loving Legos, Max and Logan enjoy volunteering at the Anti-Cruelty Society. 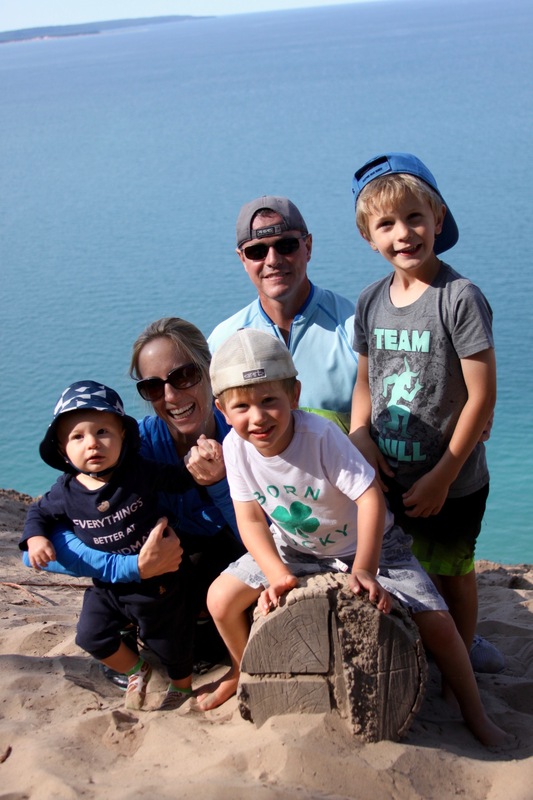 The Cahill’s are an active family–from making ninja warrior courses at the park to playing golf, and reading together before bed. Amy (who recently joined the Honeycomb Board) and her husband Gabe look forward to the day when Max and Logan’s 9-month-old brother, Mason, can join them at Honeycomb projects!